Roll out the bread until thin and pliable. Place into a muffin tin and bake in the oven until toasted and retains its shape. 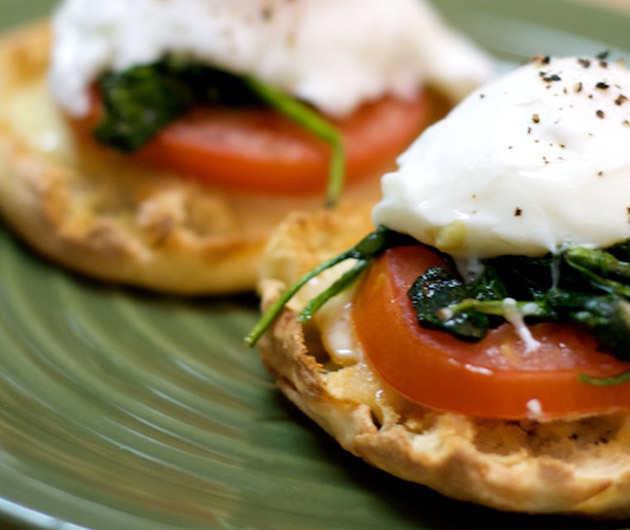 Wilt the spinach in a hot pan and place into the bottom of the basket, top with the egg and tomato and season to taste.